Last edited by coop; 03-28-2011 at 01:01 AM. The first picture is very familiar looking and I would wager I have a few pictures of similar nature laying around somewhere myself. You're right, this cannabis is pretty damn good all things considered. Exact origins? A great question. I do not feel it to be of Dutch descent and know for a fact its been around for many years. Below is the aforementioned write up, the original link however is in another thread. This is just a screen shot of what was available online. Pretty interesting information in my estimation, no matter where you would like to take it imo. pics are old outdoor from what i would say is the same as the herb in the picture. Another good question from my stand point, as the cannabis does seem to be of a similar nature more often then not. Though I would say they are by in large separate, but along similar lines to one another. For many years though cannabis typical of the first picture posted above has been commonly available if you know the right people throughout much of the area in question. Ive seen similar examples from numerous states, some better then others, but almost always of an acceptable quality compared to the dent it puts in your wallet. Im not sure these lines meet the true definition of land race though? Ive always thought of them as strains which are passed from one grower to another, almost exclusively via means of the black market, where only the best cannabis seed is selected from the entire years worth of smoke, which can include many varieties, and that these strains perpetuate themselves each season through growers who are only doing what comes natural to them by selecting seed from the best cannabis they smoked that season and running with it through to the next. I think its happened that way for many decades, perhaps even longer? A thread I did on a particular group of seed from similar origins as in question which reminded Shanti quite a bit of a hash plant he once worked with. Which was refreshing to hear, as some may suggest we're talking about hemp here lol . but since I have not smoked them it was just a guess. Thanx for the infos JessE & Coop. Peace does not fare well where poverty and deprivation reign. It does not flourish where there is ignorance and a lack of education and information. Repression, injustice and exploitation are inimical with peace. Peace is gravely threatened by inter-group fear and envy and by the unleashing of unrealistic expectations. Racial, class and religious intolerance and prejudice are its mortal enemies. While most of the THC in cannabis plants is concentrated in the marijuana, all parts of the plant, including hemp, have been found to contain THC. The existence of THC in hemp is significant because THC, like marijuana, is a schedule I controlled substance. Federal law prohibits human consumption and possession of schedule I controlled substances. In addition, they are not approved by the Food and Drug Administration for medical use. The rules that DEA is publishing today explain which hemp products are legal and which are not. This will depend on whether the product causes THC to enter the human body. If the product does cause THC to enter the human body, it is an illegal substance that may not be manufactured, sold, or consumed in the United States. Such products include “hemp” foods and beverages that contain THC. If, however, the product does not cause THC to enter the human body, it is a noncontrolled substance that may lawfully be sold in the United States. There are likely hundreds of thousands of cannabis users who will vouch for the fact the cannabis strains in question do enter the blood stream at, unfortunately for some, very detectable levels lol. These strains are routinely responsible for people failing drug test, raiding fridges and making folks accomplish next to nothing as long as they have a sack at home on the table by the night stand lol. Unfortunately, they are also responsible for many people being locked up, and perhaps altering their entire lives over as well. So im not sure one can characterize the plants as hemp, though I will admit we're not dealing with formally worked lines such as Northern Lights, Skunk #1, Haze etc. Definitely plants that have been selectively bred by many different growers year after year for various acceptable traits (I suspect at least, given the known history of these lines as I know them to be). There are indeed people who would turn their nose up to these lines, likely sighting the fact its bag appeal is nothing like the typical "kind bud" many are use too. These types of pot snobs have always amused me, because the world of marijuana is far more complicated then whether or not we're dealing with a Northern Lights/Skunk #1 hybrid as many people are accustomed too. Perhaps one day, in a scenario nobody would like to see, those strains we are all so familiar with, which are of Dutch descent and can trace their bones back to the Skunk man and Nevil's of the world are protected much the same way as Monsanto protects their Round 'up Ready lines. If so, what possible ramifications could that have for strains much like the ones Coop has originally posted above? They could in fact be the future. Unfortunately similar strains become scarcer by the day, as others choose to grow lines of Dutch descent, which have been worked professionally for many years, rather then working with the more traditional lines in question. So nice to see Coop taking an interest in running lines such as the ones in question, as the more of the right people harnessing these lines the better from my estimation. i was doing some research on more modern growing in the states. The university of Mississippi is still doing testing on the quality, and it seems that the stuff from West Virginia far outshines the stuff from Kentucky and Tennessee. But the last numbers from 2006 where showing thc ranges in the 4% for Ky and Tn and about 8.5% percent for the stuff from wv. 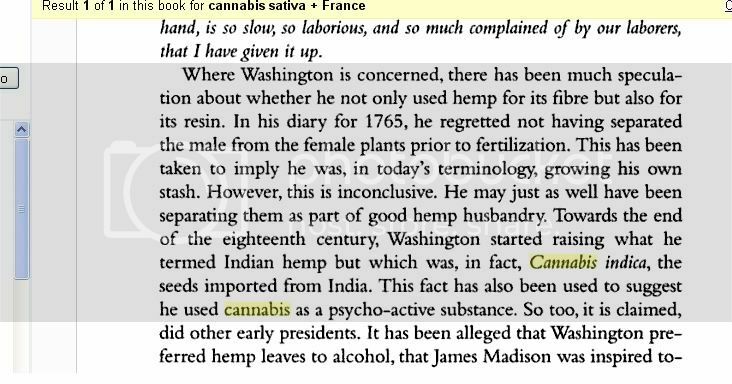 From my other readings seems as if outdoor cultivation started to get big in the 80s down there. And big is an understatement. I don't know if you could call it a landrace, but after smoking this bud every year for what seems to be almost 20 years i would assume it is somewhat naturalized. Another point i want to bring up is the bubblegum connection. I forget where i read it but one of the stories of the origins of bubblegum refers to some midwest growers who developed it for outdoor cultivation. Now i smell bubblegum in these buds and truthfully the seeds i used to grow out of it where the closest to bubblegum i've ever found in seed. and this stuff is def produced in large qtys. I am far enough away from the source that there has to be more than i could ever imagine. As far as price is concerned its about 1/4 of the rate of dank. Any way after a little searching i found 10 seeds to start with. So i will drop some soon and we will see what happens. I know this is stupid as it will cost just about the same price of the herb, but i was thinking about getting some tested as a baseline and then see what happens with the seed. It would be hell of an interesting comparison. Yea mississippi has the only "federal leagal farm" But they use genetics from mexico that isnt dank at all. I'm smoking the good stuff today boys.